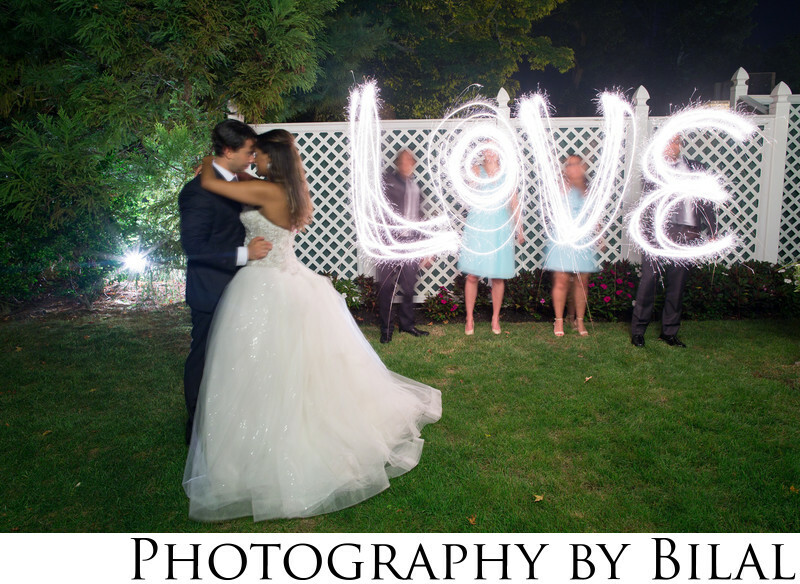 I captured this long exposure shot by having each person hold a sparkler for each letter. Each person then moved the sparkler back and forth to write that letter. This was at Jen & Theo's wedding at shadowbrook. One of the best things about wedding photography is being able to do long exposure shots like this.